This Best Gluten Free Pumpkin Bread recipe is going to become a year round favorite at your house! It’s delicious, easy to make and you’re going to love that this recipe makes two loaves. It’s also a somewhat guilt free gluten free pumpkin dessert. That’s because pumpkin contains healthy fiber vitamin C, Vitamin A, carotenoids, potassium and zinc. Also, this recipe is sugar free since I use powdered monk fruit, a natural no calorie sugar substitute. Blame my mother-in-law! (Sounds like a bad joke, right?) My recipe for gluten free pumpkin bread is a version of a gluten free pumpkin bread recipe my mother-in-law shared with me many years ago. You see, she brought me a loaf of gluten free pumpkin bread that her neighbor made her. At first, I was a bit reluctant to try it since gluten free baked goods can be very dry. Much to my surprise, it was moist and flavorful. In fact, it was so yummy that I asked my mother-in-law to ask her neighbor for the recipe. She did, and then I forgot about it. Typical, right? 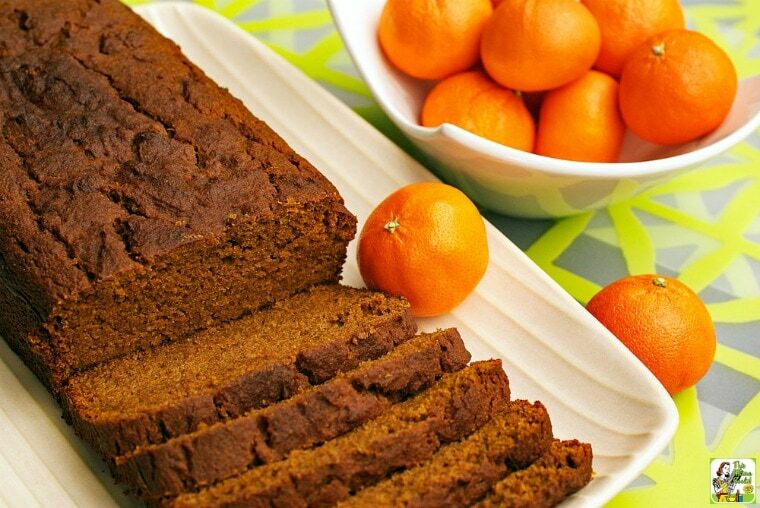 Many months later, I came across the recipe card on my desk and thought I’d make a healthier sugar free recipe of gluten free pumpkin bread and share it with you! The first thing I wanted to do was make my Best Gluten Free Pumpkin Bread recipe sugar free. So I substituted powdered monk fruit for the sugar, which you can do on a 1:1 basis when baking. My favorite brand is Monk Fruit in the Raw, but other powdered monk fruit brands work well, too. 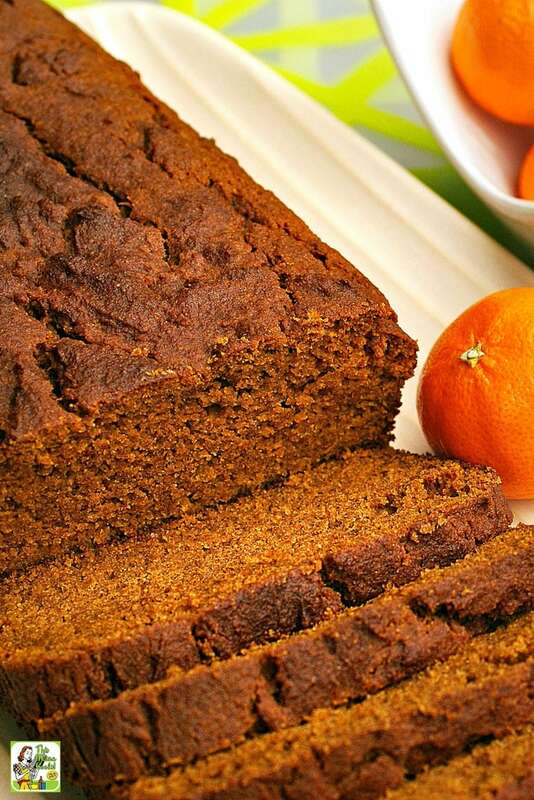 When making my this sugar free pumpkin bread recipe, I wanted to made other healthier substitutions such as using whole grain brown rice flour instead of white rice flour. You could also use rice starch, which I love using for thickening sauces and gravies. It's a must have product if you’re gluten free! 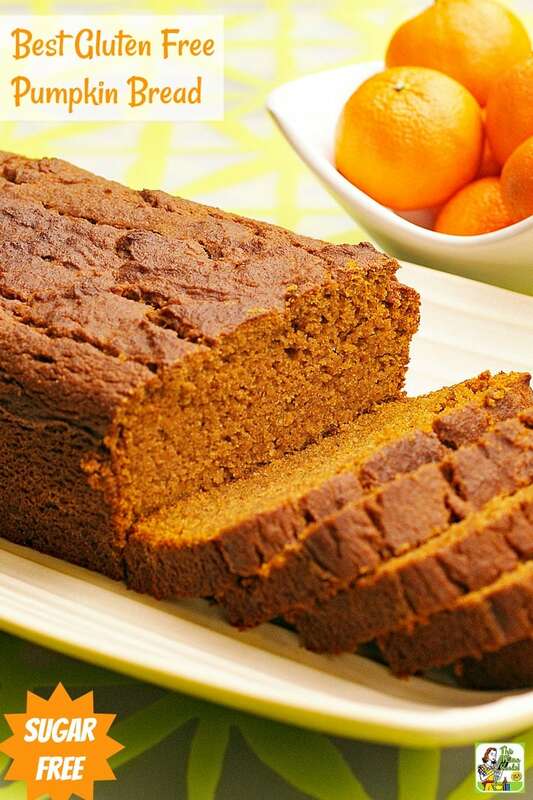 I added tangerine-orange juice to this Best Gluten Free Pumpkin Bread recipe for fun. But you can use regular orange juice if that’s easier for you. Both will be delish! Finally, don’t forget that this pumpkin bread recipe makes TWO LOAVES. So have two loaf pans ready! Place your oven rack to the middle position and preheat oven to 350 degrees. 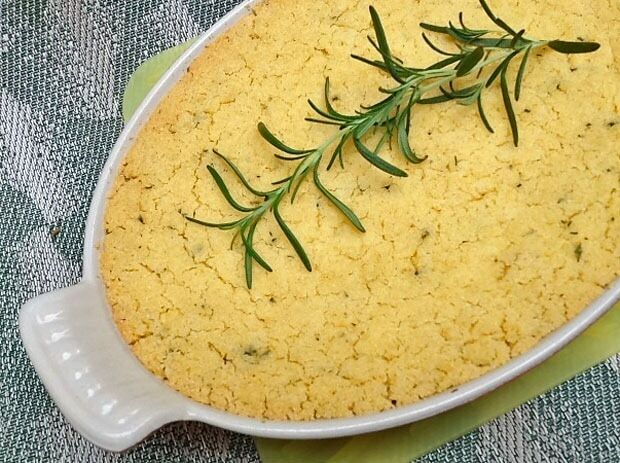 Spray two 9-by-5-inch loaf pans lightly with a nonstick cooking spray. In a large mixing bowl, mix together brown rice flour, cornstarch, pumpkin pie spice, baking soda, salt, and xanthan gum. In another bowl, mix together eggs, oil, juice, powdered monk fruit, and pumpkin puree. Stir until thoroughly combined. Add pumpkin mixture to dry ingredients. Mix until ingredients are thoroughly combined into a smooth batter. Scrape down sides and bottom of bowl several times with a rubber spatula to make sure all ingredients are properly combined. Divide batter evenly between the two prepared loaf pans. Bake for 1 hour or until a toothpick inserted into the center of the loaf comes out clean. Remove pans from the oven and place on a wire rack. Allow bread to cool completely before removing from pans. Store bread wrapped in plastic wrap or a large zip lock plastic bag at room temperature for three to five days (if it lasts that long!). Or you can place a loaf in a freezer bag and freeze it for up to three months. Originally posted on March 19, 2012. Updated with new pictures and information. Posted in Baking, Breakfast, Gluten Free, Recipes, Thanksgiving and tagged monk fruit, pumpkin on October 12, 2017 by Anne-Marie Nichols. Previous post Searching for spooky Halloween cocktail ideas? Try a Dead Man’s Kiss Cocktail!